With luck, you can avoid this! Have you ever plugged your iPhone into the charger and found, to your dismay, no reassuring "doink" and lighting bolt indicator in the top right menu bar? A trip to the Apple store may not be necessary if a rather amusing thing has happened. I might have a quick fix. Here at The Mac Observer we have had several encounters with the mysterious "It won't charge!" effect. It even happened to an office worker I was talking to a few weeks ago. 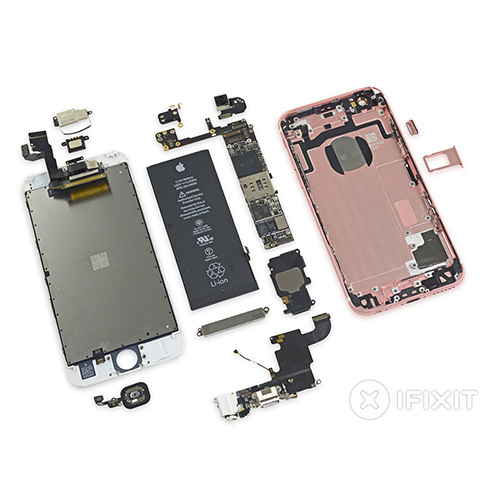 If you are in the habit of placing your iPhone in a pants or shirt pocket repeatedly and that pocket has accumulated pocket lint, that lint can be pressed into the rather small Lighting connector socket on the iPhone. That creates an insulator that prevents good electrical contact with the charger cable when inserted. 1. Good. Try some canned air and see if you can blow the lint out. This may or may not work because that opening is so small. 2. Best. There are special tweezers, (US$5) that just happen to fit into that port. Check with a flashlight first, then use these tweezers to pull out the lint you see. If that doesn't work, you may have some really hard to remove debris in there. (Or the connector may have failed. Also, check to make sure your charger works with another device.) If so, then it's off to your local Apple retail store or Apple authorized repair center. With these tools and techniques, your iPhone will always be ready to nourish itself. Doink!